Machine Embroidery Design Square Emerald Decor​ is an ideal solution for those who appreciate bright and expressive decor. 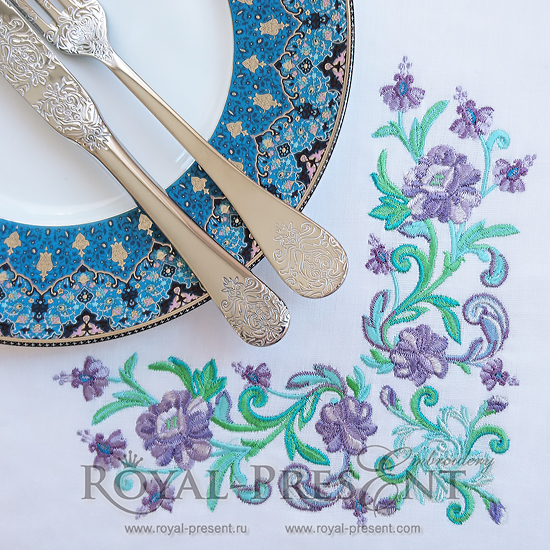 The combination of rich shades of green, blue and purple makes this machine embroidery design unusual or even exotic. It brings in mind some magic plants from a fairytale garden, which open their buds only in the middle of the night to hide from people and keep their secrets safe and sound.